On October 7, the Catholic Church celebrates another beautiful Marian feast day, Our Lady of the Rosary. 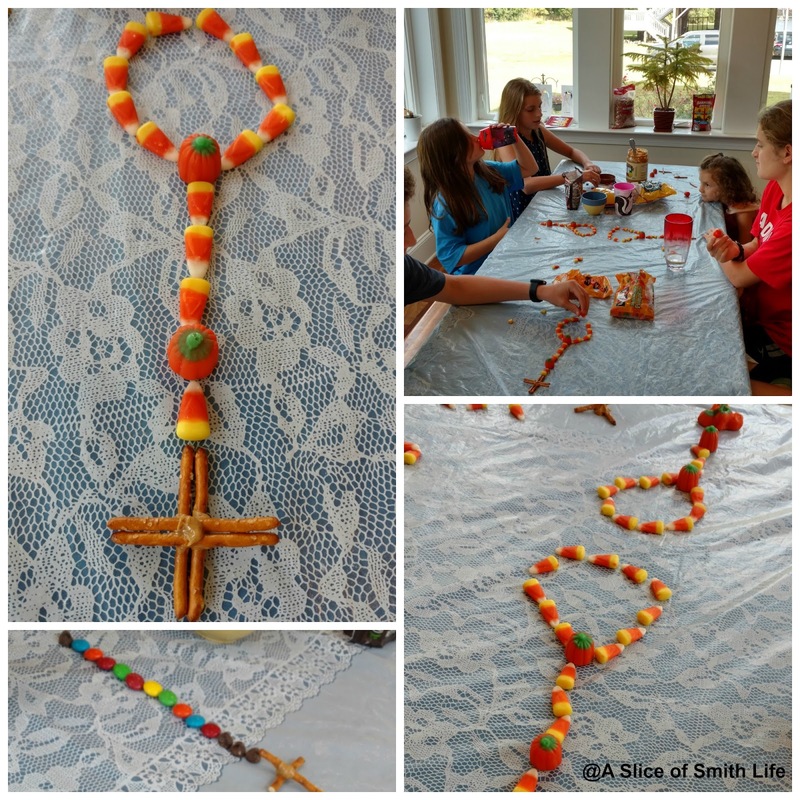 This year my children wanted to use candy corn, M&Ms, and chocolate chips to make their edible rosaries that we have done for the past few years. 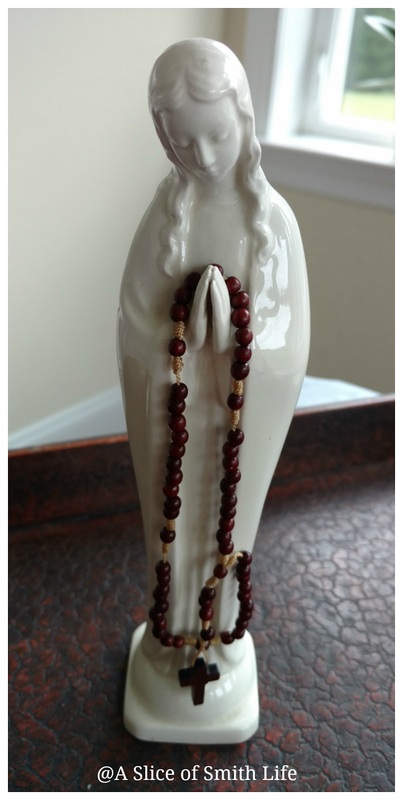 And they just made one decade of the rosary, which worked out since we then prayed a decade of the rosary. 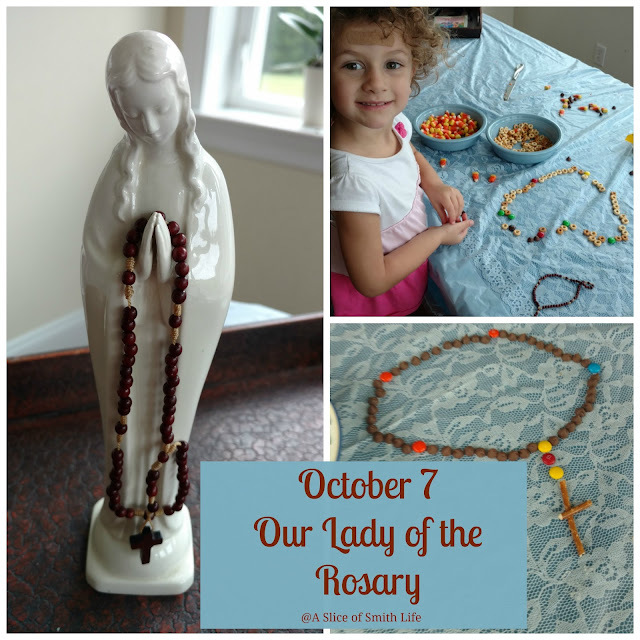 Recently I wrote a blog post for Peanut Butter & Grace titled 9 Creative and Edible Ways to Celebrate Our Lady of the Rosary. In the post I list other ways you can make edible rosaries to make this feast day extra special. 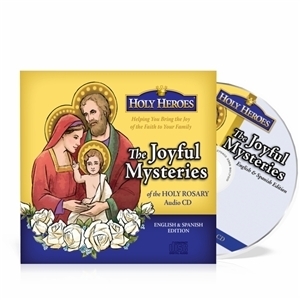 In the evening when my husband got home from work, we prayed the The Joyful Mysteries using the Holy Heroes CD. We really enjoyed this CD because there are children's voices reciting the prayers which kept my family's attention and before each prayer there is scripture verse given to help mediate on the mystery. At the end of the rosary, there is also a summary of the Battle of Lepanto and Our Lady of the Rosary. It was a simple, fun and meaningful celebration!